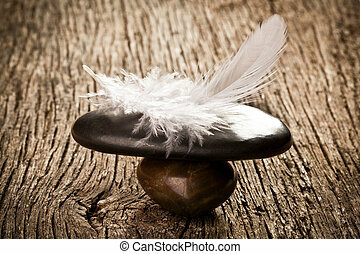 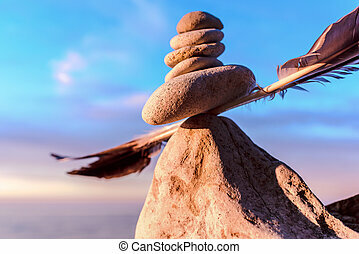 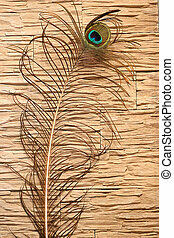 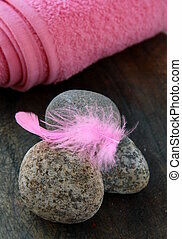 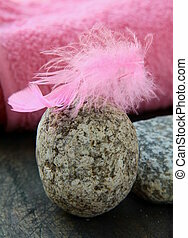 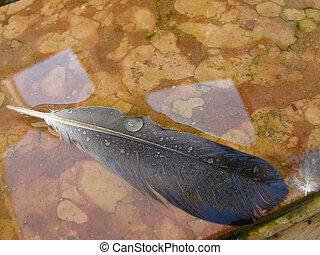 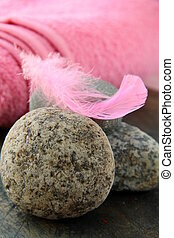 The balance of the bird's feather and stones. 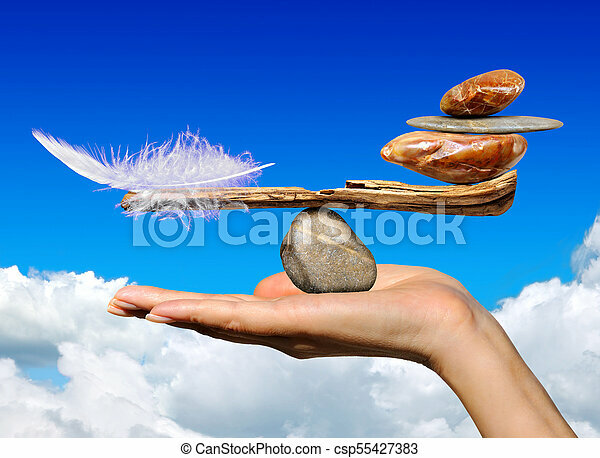 The balance of the bird's feathers and stones in female hand on background of blue sky and clouds. 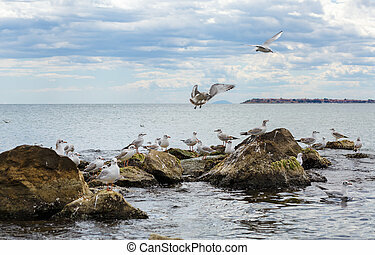 Seagulls on the stones. 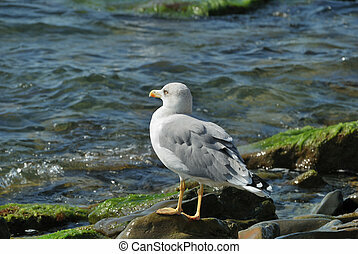 Gulls on the rocks. 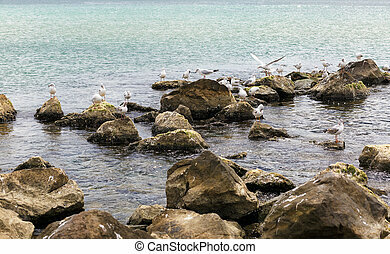 Seagulls on the stones on the shores in Italy. 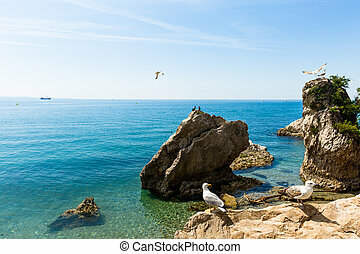 Many seagulls on the rocks on the Black Sea coast. 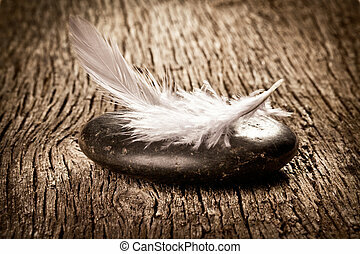 Gulls on the stones. 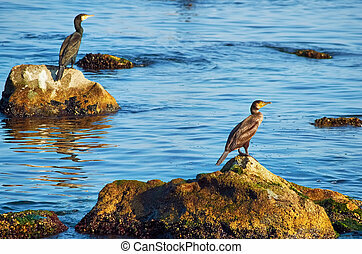 Birds of the sea. 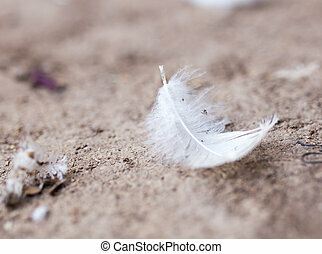 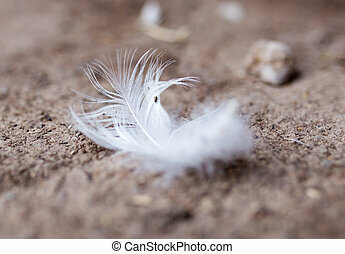 white feather on the ground .